Donorbox - Best Fundraising software for nonprofits, charities and political parties! Donorbox is quickly becoming the preferred choice for fundraising. Nonprofits are looking for a reliable donation software. Donors are looking for the easiest way to support the causes they care about. Donorbox brings them both together. The result is successful fundraising that helps change the world. The Donorbox Form Builder is completely web-based. There is no software download required for this. There’s no programming involved. The beauty of this approach is that it will suit Organizations with both basic and advanced technical knowledge. Donorbox’s registration process is extremely fast, about 15 minutes from start to finish. Organizations can also add more team members to their Donorbox account. The workload of running a nonprofit can be shared. This makes things easier for everyone involved. Donorbox uses Stripe and PayPal as payment processors, both recognized as secure and reliable transaction gateways. This presents the donor with a range of payment options, including debit and credit cards, ACH payments, Google Pay and Apple Pay. Donors are free to choose the payment method that suits them. This makes for a fast and hassle-free checkout process. The entire checkout process takes around 1-2 min to complete. Donors dislike lengthy processes and Donorbox has solved this problem. Donors will be happy to encounter a minimalist-style donation form that is quick to complete. It loads in no time and is a lightweight element in the donor’s web browser. In cases where certain information is legally required (like political campaigns, donor consent, GDPR, etc), Donorbox forms can be set accordingly. Donorbox forms are a great way to secure recurring donations. Donors are able to set their donations as once-off, weekly, monthly or annual. It takes a single mouse-click to make the choice. No extra fields or screens need to be completed. A Donor account is automatically created for recurring donations. Donors can self-manage their own donation plans. All donations are recorded and displayed for easy reference. A CSV file of all donations can be downloaded at any time. Refunds are easily processed. Receipts are completely customizable and are sent automatically after every donation. If donors require annual receipts, these can be sent easily. All receipts can be resent, if needed. The Donorbox platform is free for organizations if they collect less than $1000. If they exceed $1000, a surprisingly low processing fee of 0.89% applies for that specific month’s donations. Compared to other donation platforms, this is amongst the lowest fees available. If you had to do a feature-for-feature comparison, Donorbox wins hands down. 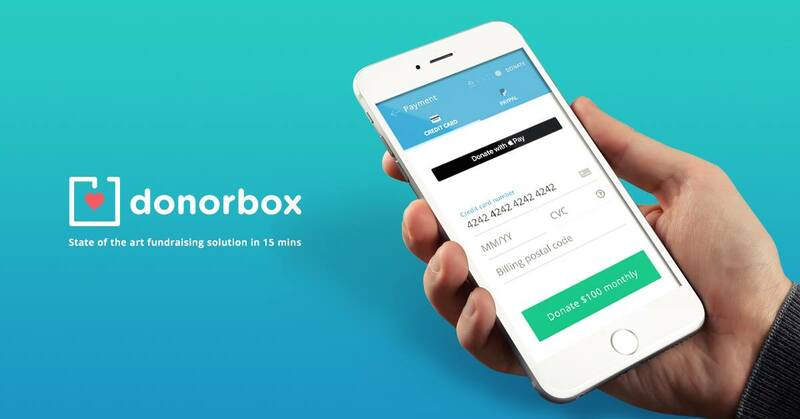 Donorbox also offers some great optional extras that add more functionality – Mailchimp, Corporate Donation Matching, Salesforce Integration, API and Zapier Integration. Donorbox is perfect if you’re looking for a powerful online donation software that supports recurring donations. It is filled with useful features, all neatly packed under the hood of a sleek modern form. Donorbox is supported by a solid backend and helpful customer support. A definite thumbs-up for this awesome platform!